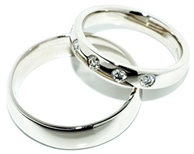 Are you rings looking dull and dirty? If it’s been a while since you had your rings cleaned and polish take advantage of our half price deep clean offer at £4.99. Make your jewellery shine and sparkle again with our ring cleaning and ring polishing systems. Available instore and via post (P&P charges will apply). 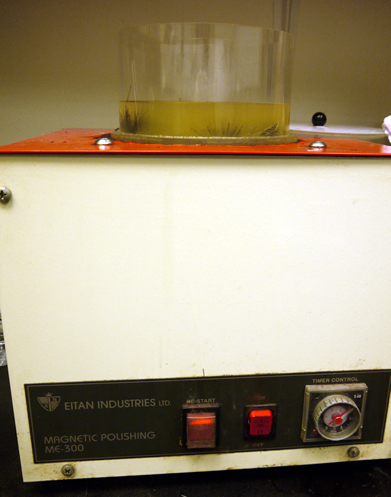 It is our Magnetic Polisher – part of cleaning process to make jewellery super clean and shiny. When your jewellery is in the polisher it spins around in the water, the pins move all around getting all the dirt out of the nooks and crannies in your ring setting, chains, earrings etc. Make your jewellery look like new again. Full details on website. Offer valid instore only. White Gold Rhodium Plating £14.99 (normally £25.99).